PLEASE READ THIS LEGAL DOCUMENT CAREFULLY. Peloton Interactive, Inc. (formerly Peloton Interactive, LLC) (together with our affiliates, “Peloton”, “we”, or “us”) provides an online fitness community and related products, services, content and features through the Peloton website located at http://www.onepeloton.com, including subdomains, such as those for our studio, support and boutique pages (the “Peloton Site”), the interface on the Peloton bike tablet, Peloton’s fitness studios, and through mobile and desktop or device applications (including iOS and Android applications) and Peloton-controlled social media pages (including on Facebook, Instagram, Spotify and Twitter) (collectively, the “Peloton Service”). By registering as a member or by visiting, browsing, or using the Peloton Service in any way, you (as a “user”) accept these Terms of Service (“Agreement”), which forms a binding agreement between you and Peloton. PLEASE READ: THIS AGREEMENT CONTAINS A BINDING ARBITRATION PROVISION AND CLASS ACTION WAIVER (SECTION 21). READ CAREFULLY, INCLUDING YOUR RIGHT, IF APPLICABLE, TO OPT OUT OF ARBITRATION. EXCEPT FOR CERTAIN TYPES OF DISPUTES DESCRIBED IN SECTION 21 BELOW, BY ENTERING INTO THIS AGREEMENT YOU EXPRESSLY AGREE THAT DISPUTES BETWEEN YOU AND PELOTON WILL BE RESOLVED BY BINDING, INDIVIDUAL ARBITRATION, AND YOU HEREBY WAIVE YOUR RIGHT TO PARTICIPATE IN A CLASS ACTION LAWSUIT OR CLASS-?WIDE ARBITRATION. If you do not wish to be bound by this Agreement, you may not access or use the Peloton Service. Certain elements of the Peloton Service may be subject to additional terms and conditions specified from time to time; your use of those elements of the Peloton Service is subject to those additional terms and conditions, which are incorporated into this Agreement by this reference. Age Requirement.You must be at least 18 years old to register with and use the Peloton Service. Minors age 13-17 that can safely fit the dimensions of the Peloton Bike may participate in live in-studio classes, provided that (a) they and their parent/guardian have signed a Peloton waiver and release; and (b) their parent/guardian is on site at all times. We may, in our sole discretion, refuse to offer the Peloton Service to any person or entity and change the eligibility criteria at any time. You are solely responsible for ensuring that this Agreement is in compliance with all laws, rules and regulations applicable to you, and the right to access and use the Peloton Service is revoked where this Agreement or use of the Peloton Service is prohibited or conflicts with any applicable law, rule or regulation. Further, the Peloton Service is offered only for your personal use, and not for the use or benefit of any third party. License.Subject to your compliance with this Agreement, Peloton grants you a limited, non-transferable, non-exclusive, revocable license to access and use the Peloton Service for your own personal, non-commercial purposes. This license includes the right to view content available on the Peloton Service. This license is personal to you and may not be assigned or sublicensed to anyone else. Restrictions.Except as expressly permitted in writing by an authorized representative of Peloton, you will not reproduce, redistribute, sell, create derivative works from, decompile, reverse engineer, or disassemble the Peloton Service, nor will you take any measures to interfere with or damage the Peloton Service. All rights not expressly granted by Peloton in this Agreement are reserved. To enjoy full access to the Peloton Service, you must register as a member of the Peloton Service and enter into a subscription agreement for access to our live and on-demand classes, content and features (a “Subscription”). Your Subscription is governed by the Subscription Terms and Conditions. You must provide complete and accurate registration information to Peloton, complete the Subscription process, and notify us if any of your information changes. 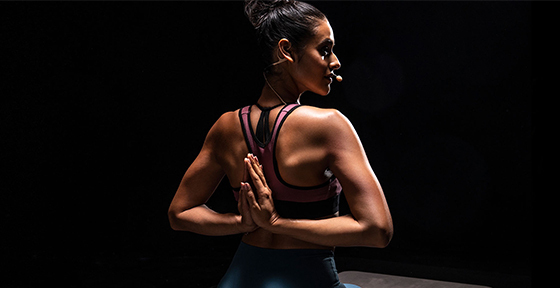 In-Studio Membership.Membership to our in-studio live classes is subject to additional fees that are separate from the Subscription fees for Peloton’s online content. Profile Information and Picture.You may not use someone else's name, or any name, location or other public profile information that violates any third party rights or that is offensive, obscene or otherwise objectionable (in Peloton’s sole discretion). Similarly, you may not use any image that violates any third party rights or that is offensive, obscene or otherwise objectionable (in Peloton’s sole discretion). Account Security.You are responsible for all activity that occurs under your account, including any activity by unauthorized users. You may not allow others to use your account. You must safeguard the confidentiality of your password, and if you are using a device that others have access to, log out of your account after using the Peloton Service. If you become aware of an unauthorized access to your account, change your password and notify us immediately at support@onepeloton.com. 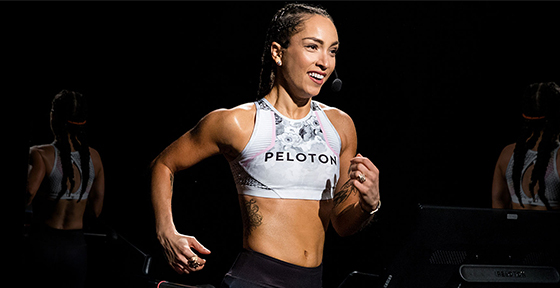 Peloton will provide information on its then-current in-studio membership and Subscription requirements on the Peloton Site and/or by other means through the Peloton Service. Features and prices are subject to change. 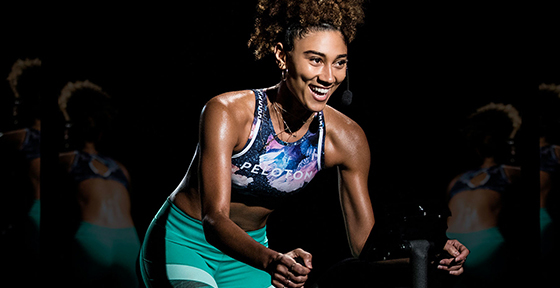 Peloton accepts orders for the Peloton bike and any other equipment, apparel or accessories that we may offer through the Peloton Site or at Peloton retail showrooms. Unfortunately, availability of products cannot be guaranteed. Unless otherwise specified at the time of purchase, you must pay for products when you place the order. All products ordered will be delivered to the U.S. shipping address you provide. We reserve the right to cancel an order placed by you at any time and for any lawful reason prior to our delivery of the product(s) and receipt of payment in full from you, provided that we will refund any fees that you prepaid for those products. We may send an acknowledgment of receipt of your order to the email address you provide and/or proof of purchase information through the Peloton Site or to your email address after your payment has been processed. Please see our Warranty and Return Policy for further information about the Peloton bike. Boutique purchases are subject to theBoutique’s Return Policy. Term.This Agreement begins on the date you first use the Peloton Service and continues as long as you have an account with us and/or continue to use the Peloton Service. Termination for Breach.Peloton may, in Peloton’s sole discretion, suspend, disable, or delete your account (or any part thereof) or block or remove any User Content (defined below) that you submitted if Peloton determines that you have violated this Agreement or that your conduct or content would tend to damage Peloton’s reputation and goodwill. If Peloton deletes your account for these reasons, you may not re-register for or use the Peloton Service under any other user name or profile. Peloton may block your access to the Peloton Service to prevent re-?registration. Effect of Termination / Account Deletion.Upon termination of this Agreement all licenses granted by Peloton will terminate. The following sections survive termination: Submissions, Indemnification, Limitation of Liability, Professional Advice Disclaimer, Medical Disclaimer, Intellectual Property and all General Provisions. In the event of account deletion for any reason, User Content may no longer be available and Peloton is not responsible for the deletion or loss of such User Content. For clarity, if you cancel your Subscription or it is terminated for any reason, you will lose access to all live and on-demand classes and any other content or features provided through the Peloton Service. Peloton, in its sole discretion, may make available a very limited amount of content or features to non-subscribers from time to time. Any video, image, graphics, photos, text, audio recording, content, materials, information or other works (for simplicity, “content”) that is submitted to the Peloton Service by or on behalf of users (“User Content”), whether publicly posted or privately transmitted, is the sole responsibility of the person who originated such User Content. You represent that all User Content submitted by or on behalf of you is accurate, complete, up-to-date, and in compliance with all applicable laws, rules and regulations. You acknowledge that all content, including User Content, accessed by you using the Peloton Service is at your own risk and you will be solely responsible for any damage or loss to you or any other party resulting therefrom. We make no representations, warranties or guarantees with respect to any content that you access on or through the Peloton Service. As between you and Peloton, you own all User Content that you submit to the Peloton Service. You grant Peloton a worldwide, perpetual, irrevocable, non-exclusive, sublicensable (through multiple tiers), transferable royalty-free license and right to use, copy, transmit, distribute, publicly perform and display (through all media now known or later created), edit, modify, and make derivative works from your User Content for any purpose whatsoever, commercial or otherwise, without compensation to you. In addition, you waive any so-called “moral rights” or rights of privacy or publicity in your User Content. You further grant all users of the Peloton Service permission to view your User Content for their personal, non-commercial purposes. If you make suggestions to Peloton or through the Peloton Service about improving or adding new features or products to the Peloton Service or you otherwise provide feedback or testimonials, Peloton a worldwide, perpetual, irrevocable, non-exclusive, sublicensable (through multiple tiers), transferable royalty-free license and right to use your suggestions, feedback and testimonials without any compensation or other obligation to you. Violate any other community rules or codes of conduct that Peloton may impose. Peloton has the right, but not the obligation, to monitor all conduct on and content submitted to the Peloton Service. Peloton reserves the right to alter, edit, remove, or refuse to post any content, software and/or applications, in whole or in part, in Peloton’s sole discretion or to satisfy or comply with applicable laws, regulations, legal processes and/or maintain the integrity and reputation of the Peloton Service and Peloton’s systems. In addition, when visiting or taking classes at our studio, please be advised that Peloton is not responsible for any lost or stolen items and that visitors, guests and members are required to adhere to then-current policies in place at that studio. When interacting with other Peloton members, you should exercise caution and common sense to protect your personal safety and property, just as you would when interacting with other people you don’t know. Your participation, correspondence or personal or business dealings with any third party found on or through the Peloton Service, whether regarding payment or delivery of specific goods and services, donations or fundraisers, and any other terms, conditions, representations or warranties associated with such dealings, are solely between you and such third party. You agree that Peloton is not responsible or liable for any loss, damage, injury, or other matters of any sort incurred as the result of such dealings. For each piece of User Content that you submit, you represent and warrant that: (i) you have the right to submit the User Content to Peloton and grant the licenses set out above; (ii) Peloton will not need to obtain licenses from any third party or pay royalties to any third party; (iii) the User Content does not infringe any third party's rights, including intellectual property rights and privacy rights; and (iv) the User Content complies with this Agreement and all applicable laws. You agree to indemnify, defend, and hold harmless Peloton and its directors, officers, employees, and agents, from and against all claims, damages, losses and costs that arise from or relate to (i) your activities on the Peloton Service, (ii) any User Content submitted by or on behalf of you or (iii) your violation of this Agreement. Downloading and/or installing any third party software and/or applications that are not expressly authorized by Peloton on any Peloton hardware is strictly forbidden; any such downloading or installation is done at your own risk and may void any applicable warranty or support commitments by Peloton. There may be links on the Peloton Service that let you leave the particular Peloton Service you are accessing in order to access a linked site that is operated by a third party. Peloton neither controls nor endorses these sites, nor has Peloton reviewed or approved the content that appears on them. Peloton is not responsible for the legality, accuracy or inappropriate nature of any content, advertising, products or other materials on or available from any such third party sites. You acknowledge and agree that Peloton is not responsible or liable, directly or indirectly, for any damage or loss caused or alleged to be caused by or in connection with the access or use of any of the links, content, goods or services available on or through these third party sites. Peloton reserves the right to modify the Peloton Service, including, but not limited to updating, adding to, enhancing, modifying, removing or altering any content or features of the Peloton Service, at any time, in its sole discretion. You are responsible for providing your own access (e.g., computer, mobile device, Internet connection, etc.) to the Peloton Service. Peloton has no obligation to screen or monitor any content and does not guarantee that any content available on the Peloton Service is suitable for all users or that it will continue to be available for any length of time. That Peloton will continue to support any particular feature of the Peloton Service. Concerning sites and resources outside of the Peloton Service, even if linked to from the Peloton Service. To the extent that another party may have access to or view content on your device, you are solely responsible for informing such party of all disclaimers and warnings in this Agreement. TO THE EXTENT ANY DISCLAIMER OR LIMITATION OF LIABILITY DOES NOT APPLY, ALL APPLICABLE EXPRESS, IMPLIED, AND STATUTORY WARRANTIES WILL BE LIMITED IN DURATION TO A PERIOD OF 30 DAYS AFTER THE DATE ON WHICH YOU FIRST USED THE PELOTON SERVICE, AND NO WARRANTIES SHALL APPLY AFTER SUCH PERIOD. To the fullest extent permitted by law: (i) Peloton shall not be liable for any indirect, incidental, special, consequential, punitive, or exemplary damages, including but not limited to damages for loss of profits, goodwill, use, data or other intangible losses; and (ii) Peloton's total liability to you for all claims, in the aggregate, will not exceed the amount actually paid by you to Peloton over the 12 months preceding the date your first claim(s) arose. THE PELOTON SERVICE OFFERS HEALTH AND FITNESS INFORMATION AND IS DESIGNED FOR EDUCATIONAL AND ENTERTAINMENT PURPOSES ONLY. YOU SHOULD CONSULT YOUR PHYSICIAN BEFORE BEGINNING A NEW FITNESS PROGRAM. YOU SHOULD NOT RELY ON THIS INFORMATION AS A SUBSTITUTE FOR, NOR DOES IT REPLACE, PROFESSIONAL MEDICAL ADVICE, DIAGNOSIS, OR TREATMENT. IF YOU HAVE ANY CONCERNS OR QUESTIONS ABOUT YOUR HEALTH, YOU SHOULD ALWAYS CONSULT WITH A PHYSICIAN OR OTHER HEALTH-CARE PROFESSIONAL. DO NOT DISREGARD, AVOID OR DELAY OBTAINING MEDICAL OR HEALTH RELATED ADVICE FROM YOUR HEALTHCARE PROFESSIONAL BECAUSE OF SOMETHING YOU MAY HAVE READ ON THE PELOTON SITE OR HEARD ON THE PELOTON SERVICE. THE USE OF INFORMATION PROVIDED THROUGH THE PELOTON SERVICE IS SOLELY AT YOUR OWN RISK. NOTHING STATED OR POSTED ON THE PELOTON SITE OR AVAILABLE THROUGH ANY PELOTON SERVICE IS INTENDED TO BE, AND MUST NOT BE TAKEN TO BE, THE PRACTICE OF MEDICAL OR COUNSELING CARE. FOR PURPOSES OF THIS AGREEMENT, THE PRACTICE OF MEDICINE AND COUNSELING INCLUDES, WITHOUT LIMITATION, PSYCHIATRY, PSYCHOLOGY, PSYCHOTHERAPY, OR PROVIDING HEALTH CARE TREATMENT, INSTRUCTIONS, DIAGNOSIS, PROGNOSIS OR ADVICE. THE PELOTON SERVICE IS CONTINUALLY UNDER DEVELOPMENT AND PELOTON MAKES NO WARRANTY OF ANY KIND, IMPLIED OR EXPRESS, AS TO ITS ACCURACY, COMPLETENESS OR APPROPRIATENESS FOR ANY PURPOSE. IN THAT REGARD, DEVELOPMENTS IN MEDICAL RESEARCH MAY IMPACT THE HEALTH, FITNESS AND NUTRITIONAL ADVICE THAT APPEARS HERE. NO ASSURANCE CAN BE GIVEN THAT THE ADVICE CONTAINED IN THE PELOTON SERVICE WILL ALWAYS INCLUDE THE MOST RECENT FINDINGS OR DEVELOPMENTS WITH RESPECT TO THE PARTICULAR MATERIAL. In becoming a user of Peloton with the intent of using the Peloton Service, you affirm that either (A) all of the following statements are true: (i) no physician has ever informed you that you have a heart condition or that you should only do physical activities recommended by a physician; (ii) you have never felt chest pain when engaging in physical activity; (iii) you have not experienced chest pain when not engaged in physical activity at any time within the past month; (iv) you have never lost your balance because of dizziness and you have never lost consciousness; (v) you do not have a bone or joint problem that could be made worse by a change in your physical activity; (vi) your physician is not currently prescribing drugs for your blood pressure or heart condition; (vii) you do not have a history of high blood pressure, and no one in your immediate family has a history of high blood pressure or heart problems; and (viii) you do not know of any other reason you should not exercise; or (B) your physician has specifically approved of your use of the Peloton Service. If applicable, you further affirm that (a) you are not pregnant, breastfeeding or lactating; or (b) your physician has specifically approved your use of the Peloton Service. Peloton reserves the right to refuse or cancel your membership if we determine that you have certain medical conditions or that the representations set forth above are untrue in any respect. You acknowledge that the Peloton Service contains software and other content that is protected by copyrights, patents, trademarks, trade secrets or other proprietary rights, and that these rights are valid and protected in all forms, media and technologies existing now or hereafter developed. All Peloton-generated content, and content provided to Peloton by its partners and licensors, is copyrighted individually and/or as a collective work under the U.S. copyright laws; further, as between you and Peloton, Peloton owns a copyright in the selection, coordination, arrangement and enhancement of all content in the Peloton Service. Subject to your compliance with this Agreement, and solely for so long as you are permitted by us to access and use the Peloton Service, you may download one copy of the application to any single device for your personal, non-commercial home use only, provided you keep intact all copyright and other proprietary notices, and are in compliance with this Agreement. Subject to your compliance with this Agreement, and solely for so long as you are permitted by us to access and use the Peloton Service, Peloton hereby grants you a limited, revocable, non-exclusive, non-transferable right and license to access and use the content made available on the Peloton Service for your personal, non-commercial use of the Peloton Service and for no other purpose whatsoever. Unless otherwise specified, copying or modifying any content or using content for any purpose other than your personal, non-commercial use of the Peloton Service, including use of any such content on any other website or networked computer environment, is strictly prohibited. The Peloton name, logos and affiliated properties, designs and marks are the exclusive property of Peloton Interactive, Inc. and/or its affiliates, whether registered or unregistered, and may not be used in connection with any product or service that is not ours, or in any manner that is likely to cause confusion as to our endorsement, affiliation or sponsorship of any person, product or service. Nothing contained on the Peloton Service should be construed as granting, by implication, estoppel or otherwise, any license or right to use any of our trade names, trademarks or other intellectual property without our express prior written consent. Any other trademarks appearing on the Peloton Service are trademarks of their respective owners. Our partners or service providers may also have additional proprietary rights in the content that they make available through the Peloton Service. All rights not expressly granted in this Agreement are reserved. Peloton respects the intellectual property of others, and we ask our users to do the same. Each user is responsible for ensuring that their User Content does not infringe any third party copyright or other intellectual property rights. Peloton will promptly remove materials from the Peloton Site in accordance with the Digital Millennium Copyright Act (“DMCA”) if properly notified that the materials infringe a third party's copyright. In addition, Peloton may, when appropriate, terminate the accounts of repeat copyright infringers. A description of where on the Peloton Site the material that you claim is infringing may be found, sufficient for Peloton to locate the material (e.g., the URL). Peloton may disclose any communications concerning DMCA notices or other intellectual property complaints with third parties, including the users who have posted the allegedly infringing material. Arbitration.YOU AND WE AGREE THAT ALL DISPUTES BETWEEN YOU AND US OR OUR OFFICERS, DIRECTORS OR EMPLOYEES IN THEIR CAPACITY AS SUCH (WHETHER OR NOT SUCH DISPUTE INVOLVES A THIRD PARTY) WITH REGARD TO YOUR RELATIONSHIP WITH US, INCLUDING WITHOUT LIMITATION DISPUTES RELATED TO THIS AGREEMENT, YOUR USE OF THE PELOTON SERVICE, AND/OR RIGHTS OF PRIVACY OR PUBLICITY, WILL BE RESOLVED BY BINDING, INDIVIDUAL ARBITRATION UNDER THE JAMS, INC. (“JAMS”) RULES FOR ARBITRATION OF CONSUMER-RELATED DISPUTES IN EFFECT AT THE TIME OF DISPUTE, AND YOU AND WE HEREBY EXPRESSLY WAIVE TRIAL BY JURY; PROVIDED, HOWEVER, THAT EITHER PARTY MAY SEEK INJUNCTIVE OR OTHER APPROPRIATE EQUITABLE RELIEF IN ANY U.S. COURT HAVING JURISDICTION TO PROTECT AGAINST AN INFRINGEMENT OR MISAPPROPRIATION OF THAT PARTY’S INTELLECTUAL PROPERTY RIGHTS. DISCOVERY AND RIGHTS TO APPEAL IN ARBITRATION ARE GENERALLY MORE LIMITED THAN IN A LAWSUIT, AND OTHER RIGHTS THAT YOU AND WE WOULD HAVE IN COURT MAY NOT BE AVAILABLE IN ARBITRATION. Small Claims Court.As an alternative, you or we may bring a claim in your local “small claims” court, if permitted by that small claims court’s rules and within such court’s jurisdiction, unless the action is transferred, removed or appealed to a different court. You may bring such claims only on your own behalf. Class Action Waiver.Neither you nor we will participate in a class action or class-wide arbitration for any claims covered by this agreement to arbitrate. YOU ARE GIVING UP YOUR RIGHT TO PARTICIPATE AS A CLASS REPRESENTATIVE OR CLASS MEMBER ON ANY CLASS CLAIM YOU MAY HAVE AGAINST US, INCLUDING ANY RIGHT TO CLASS ARBITRATION OR ANY CONSOLIDATION OF INDIVIDUAL ARBITRATIONS. You also agree not to participate in claims brought in a private attorney general or representative capacity, or consolidated claims involving another person’s account, if we are a party to the proceeding. This dispute resolution provision is governed by the Federal Arbitration Act and not by any state law concerning arbitration. If JAMS is unwilling or unable to set a hearing date within 160 days of filing, then either we or you can elect to have the arbitration administered instead by the American Arbitration Association. Judgment on the award rendered by the arbitrator may be entered in any court having competent jurisdiction. Any provision of applicable law notwithstanding, the arbitrator will not have authority to award damages, remedies or awards that conflict with this Agreement. Time Limitation.You agree that regardless of any statute or law to the contrary, any claim or cause of action arising out of, related to or connected with your relationship with us, including the use of the Peloton Service or this Agreement, must be filed within one year after such claim or cause of action arose or be forever banned. Opt-Out.If you do not wish to be bound by the arbitration and class action waiver provisions in this Section 21, you must notify us in writing within 30 days of the date that you first use the Peloton Service or 30 days from the date this Section 21 was last updated (unless a longer period is required by applicable law). Your written notification must include your name and mailing address, your username and the email address you used to set up your Peloton account (if you have one), and a statement that you do not wish to resolve disputes with us through arbitration and demonstrating compliance with the 30-day time limit to opt out. You must mail your opt-out notice to this address: Peloton Interactive, Inc., Attn: Dispute Resolution Opt-out, 125 West 25th Street, 11th Floor, New York, NY 10001. If you do not notify us in accordance with this Section 21, you agree to be bound by the arbitration and class-action waiver provisions set out above, including any revisions we make to this Agreement after the date of your acceptance. If we make any changes to this Section (other than a change to the address at which we will receive notices), you may reject the change by sending us written notice to the above address within 30 days of the effective date of the change. Any opt-out notice affects this Agreement only; if you previously entered into other arbitration agreements or class action waivers with us or enter into other such agreements in the future, your notification that you are opting out of the dispute resolution provision in this Agreement will not affect the other agreements between you and us. Fees.Your arbitration fees will be limited to those fees set forth in the JAMS Rules for Arbitration of Consumer-Related Disputes with the remainder paid by Peloton. Survival.This Section 21 will survive the termination of your relationship with us. If any of the prohibitions against class actions and other claims brought on behalf of third parties contained above is found to be unenforceable under applicable law, then such provisions will be null and void and severed from this Agreement. This Agreement shall be governed by the laws of the State of New York, United States of America, without regard to principles of conflicts of law. The Uniform Commercial Code, the Uniform Computer Information Transaction Act, and the United Nations Convention of Controls for International Sale of Goods shall not apply. Subject to the foregoing agreements in Section 21, any other action arising out of or relating to this Agreement or your use of the Peloton Service must be commenced in the state or federal courts located in New York, New York, United States of America, and you consent to the jurisdiction of those courts. Headings are for convenience only and shall not be used to construe the terms of this Agreement. If any term of this Agreement is found invalid or unenforceable by any court of competent jurisdiction, that term will be severed from this Agreement. No failure or delay by Peloton in exercising any right hereunder will waive any further exercise of that right. Peloton's rights and remedies hereunder are cumulative and not exclusive. This Agreement is binding upon and will inure to the benefit of both parties and their respective successors, heirs, executors, administrators, personal representatives, and permitted assigns. You may not assign or transfer this Agreement without Peloton’s prior written consent. No third party has any rights hereunder. Peloton may assign its rights, obligations and/or this Agreement at any time in its sole discretion without notice to you. Nothing in this Agreement or otherwise limits Peloton’s right to object to subpoenas, claims, or other demands. This Agreement may be modified at any time by Peloton. Any such modification will be communicated to you by, at a minimum, revising the “Last Updated” date at the top of this page. Subject to Section 21, unless otherwise specified by us, modifications will be effective as of the date they are posted to the Peloton Service. In the event of a conflict between any policies posted on the Peloton Service and the terms of this Agreement, the terms of this Agreement will control. This Agreement represents the entire understanding between Peloton and you and supersedes all prior agreements and understandings regarding the same.